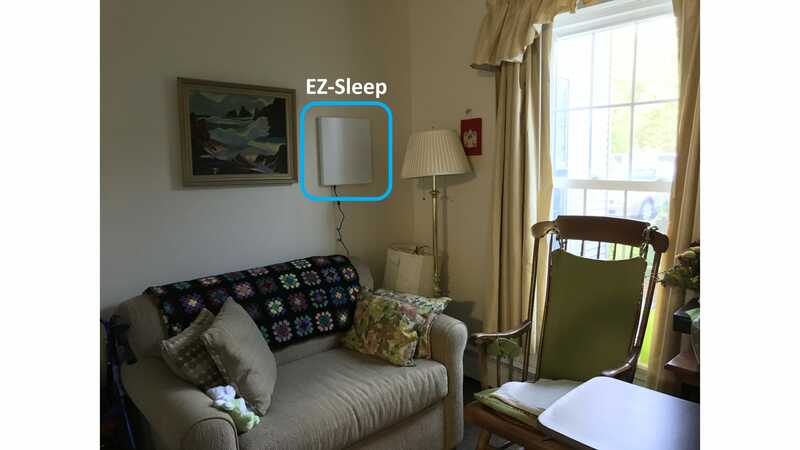 EZ-sleep is a sensor that monitors people's sleep and insomnia parameters using wireless signals. It transmits wireless signals to the environment. By analyzing the reflections, it learns the locations of beds, detects people's bed schedule, and estimates sleep parameters (sleep latency, wake after sleep onset, sleep efficiency, time in bed, and total sleep time). It can also monitor multiple people's sleep at the same time. It is zero-effort -- it does not require the users to wear any sensors or change their behaviors at all.